HPAT – Ireland results will be released to UL applicants and mature candidates (i.e. any candidates born or on before 1/1/1996) in mid to late April. All the other candidates will receive their results on 24 June 2019. Candidates will recieve an email notification to inform them that their results are available. Candidates will receive a score for each of the three sections, together with an Overall Score. The Overall Score will be a weighted aggregate of the three section scores. The Overall Score will be calculated using the following formula: Overall Score = [(2 x Section 1 + 2 x Section 2 + 1 x Section 3) ÷ 5] x 3. Note: Overall Scores are calculated by ACER to several decimal places and then rounded. It is not possible for candidates to replicate this process. UL applicants will also receive an additional score for the Written English component.The Written English Score is a separate score and is not used to calculate the Overall Score. An online statement of results is available for download through your account. 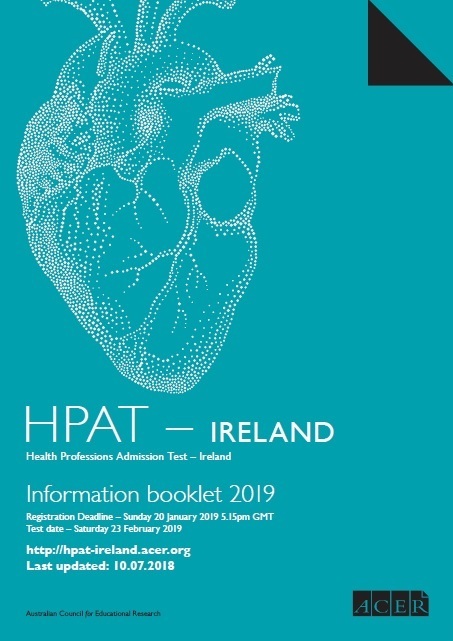 This statement gives an overall score and an overall percentile rank to give you an indication of how well you performed against other HPAT – Ireland candidates.